Personalised Mother's Day Gift. Custom Drink Coaster. Round Wooden Engraved Coffee/Tea or Alcohol. Special Gift for Christmas or Birthday. 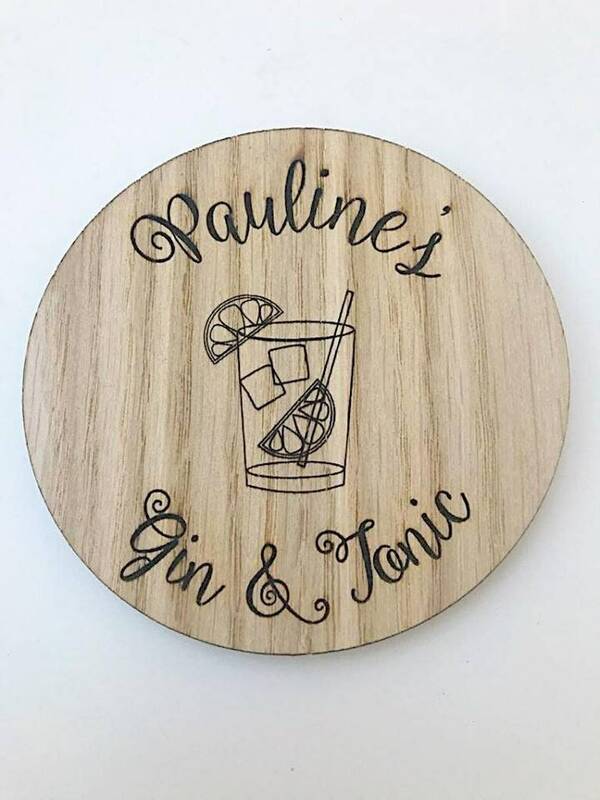 · Beautiful Wooden Oak Personalised Engraved Round Coaster. · Suitable for: Father's Day, dad gift, Mother's Day, birthday, valentines, special gift, wedding, birthday, Christmas, engagement. 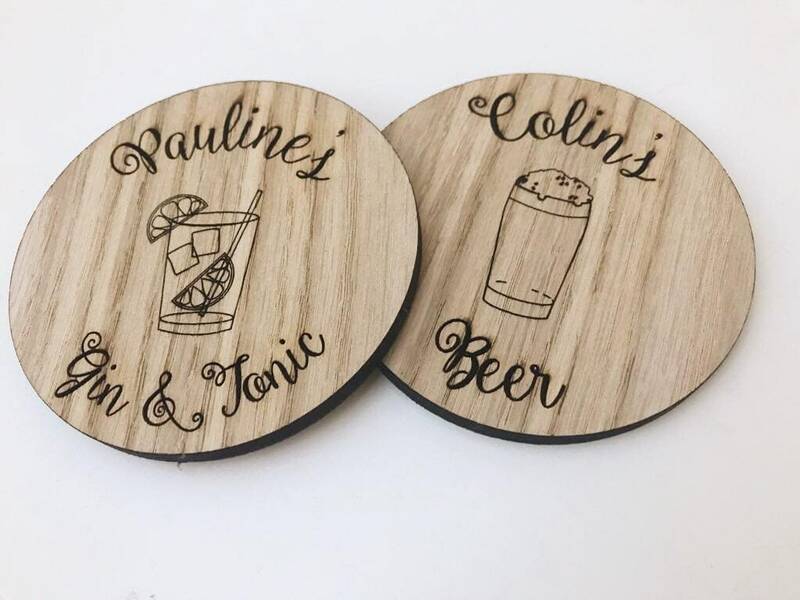 · Laser-cut & engraved, using high quality 6mm depth Oak veneer. · Each piece is personalised with any text upto 30 characters. · Choose your beverage from the drop-down bar. If your desired beverage is not listed, please choose 'Other' option and leave information in 'Notes to Seller' during checkout. · We will choose a relevant image to the beverage selected. 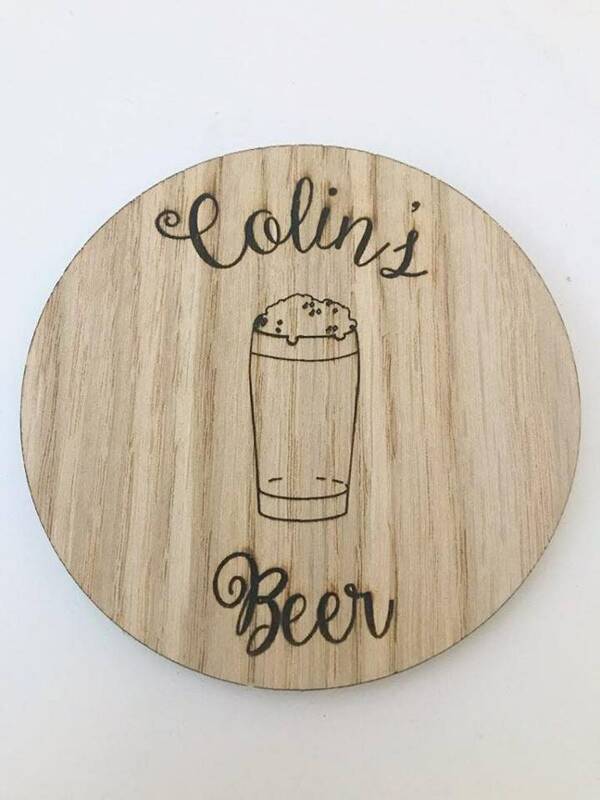 · 90mm diameter approx dimensions of coaster. · Notice: This is for one coaster only. ✦ Please select the beverage from the drop down bar. ✦ Please Type Exact Text You Require To Be Engraved for Personalisation, as we will copy and paste.